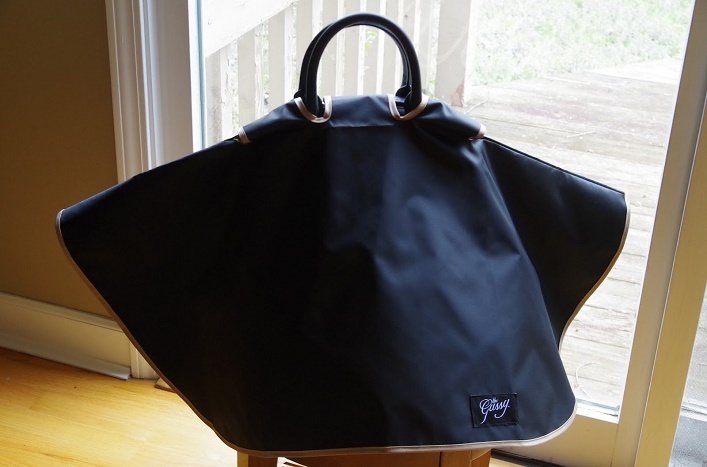 Mix and Chic: A product review and a giveaway- The Gussy waterproof handbag rain covers! 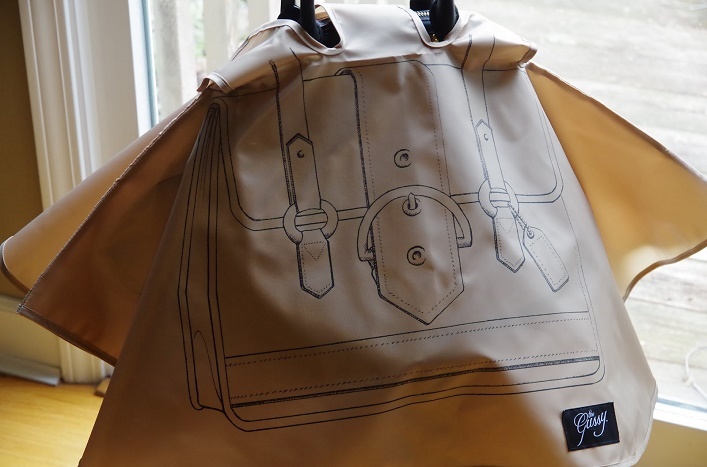 A product review and a giveaway- The Gussy waterproof handbag rain covers! 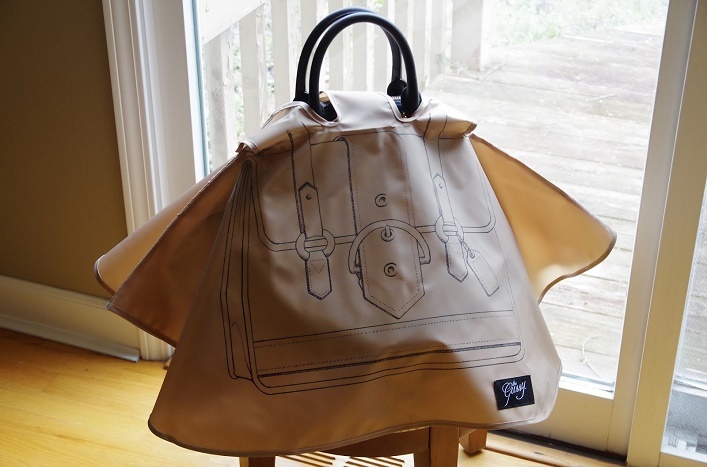 If you are a bag lover like me, you would likely leave your most coveted bags or purses at home when it's raining outside to protect them from water stains. Sometimes, having just an umbrella isn't enough because the poor bag will still ended up catching lots of little rain droplets that leave a permanent mark. I have tried covering my bag with plastic bag in the rain and trust me, it's not a stylish solution. Instead of enjoying my beautiful leather bags and my fancy designer bags, I find myself constantly worrying about them getting ruined in the rain or snow! I just want to be able to pick a handbag based on my mood or my outfit and not based on that day's weather or weather forecast. Truth to be told, I am tired of carrying my least favorite handbag during those rainy or snowy days! 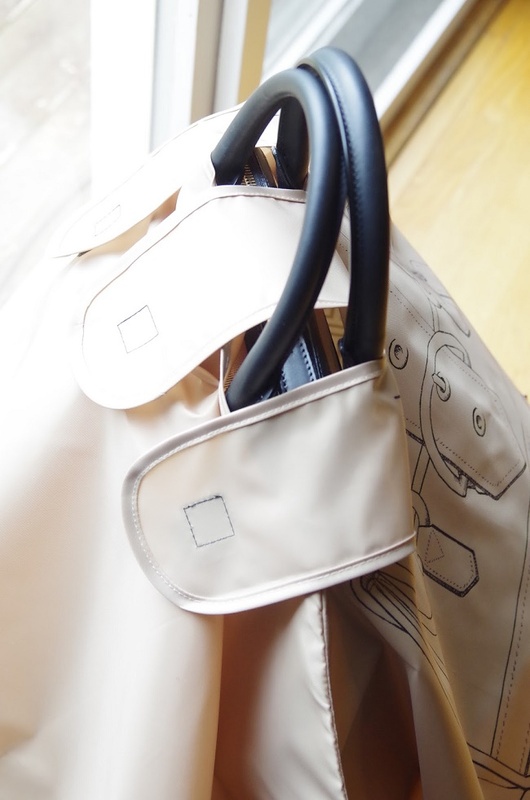 So how do we protect our beloved designer handbags from the unpredictable weather? There is finally a great solution! Can you imagine getting a pretty raincoat for your bags? 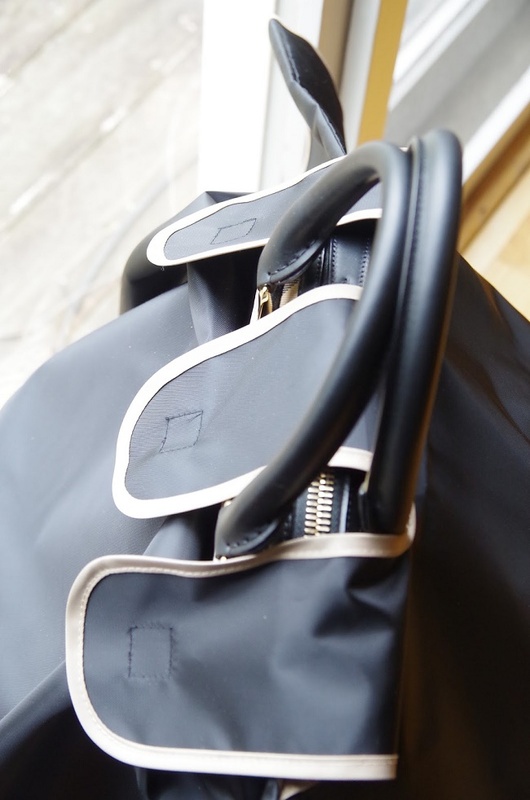 Now, The Gussy offers smart and stylish waterproof handbag rain covers for your bags and purses! Check this out, my lovelies! Aren't these rain covers fabulous? They absolutely fit right in with your day-to-day ensemble! I was thrilled to be offered some fabulous samples to try! These are the two rain covers I received from The Gussy recently. I am truly in love with this gorgeous rain cover! Featuring a witty, original trompe l'oeil design by New York artist Susan B. Allen, this rain cover looks charming and absolutely chic! The beautiful minimalist design and neutral khaki color would work well with any bags or outfits! This black rain cover is just as stunning! The contrasting beige trim is definitely a lovely touch. Exuding style, sophistication and elegance, you can't go wrong with this beautiful bag protector! Both Gussy rain covers are generously sized (36" width by 16" height) and will fit larger bags, whether it's a crossbody bag, hobo bag, tote bag- you name it! They can also be used to protect suitcases, rolling bags, computer cases, diaper bags, briefcases and even a beach bag! Made of sturdy, lightweight waterproof polyester, a material similar to those of a good raincoat, the material is well-made and looks durable. I like that they are pretty easy to use too. You just slip the strap through the middle flap and reattach the velcro and that's it! A sleeve is included with each rain cover as well. A must-have accessory for anyone who loves style and fashion. It also makes a perfect gift for the fashionable ladies in your life! Highly recommended! *I have received these products to review for free but the views and opinions expressed are entirely my own. This giveaway is open to US readers only (sorry my international friends)! 4. Mention this giveaway on your Facebook status (include a link back to this post) and leave a separate comment. 5. Tweet about this giveaway (include a link back to this post) and leave a separate comment. 6. Blog about this giveaway (include a link back to this post) and leave a separate comment. 7. Bonus question: Let me know what you love about The Gussy. The last day for entries is May 8, 2016. The winner will be chosen by random.org and announced on Monday, May 9, 2016. Good luck, ladies! OMG! For a bagaholic, this is a MUST! Hope I win! You know I'm your stalker Jessie, following you on FB. I love the practicality of it! And bags aren't cheap, I want to take care of mine especially in the rain!